Kerala is well known for its incredible handicrafts. 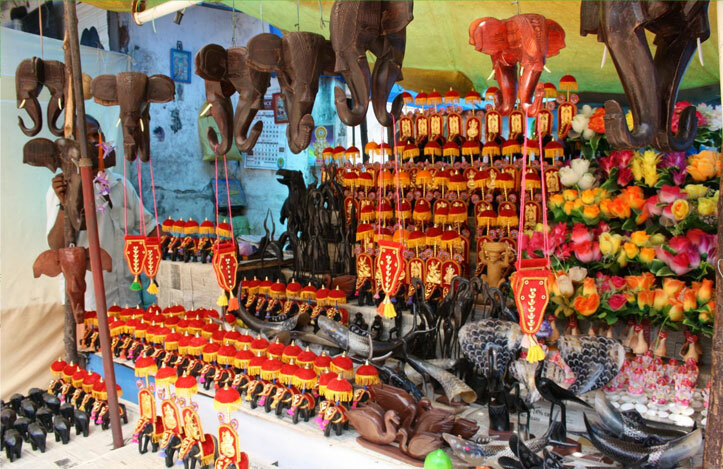 The tourists have a great variety of items to select from during their shopping in Kerala. These items ranges from silk sarees, wall hangings, coir products, coconut shell products, gold and silver jewelry etc. The Handicrafts of Kerala are very famous and it shows the cultural heritage of our state. The handicrafts of Kerala also include religious manifestations where idols of various Gods and Godesses are carved in rosewood or sandalwood. The artforms of Kerala can also be portrayed in the handicrafts such as the masks of Kathakali. Models of the famous snake-boats are also made. Kerala is famous for its bell metal art. Bell metal is an alloy of tin, copper and brass and it can be used to cast various mythological events such as the ‘Tandava Dance’. It is also called as the ‘Gaja Tandava’ or ‘Gajasamhara’ in intricate art forms. They can be also used for making lamps and various household articles. Kerala is also famous for its coir and cane articles. Eco friendly items such as rattan and coir mattresses, floor furnishings, mats and other colourful articles are made here. Manufacturing coir products is an important cottage industry in our state. The two districts famous for these coir products are Calicut and Kollam. Another traditional handicraft of Kerala is the ivory carving. There are various items carved in ivory which includes mythological characters which is always given great priority, showpieces etc. Buffalo horns are usually used for creating ivory carving arts. The combination of woodcraft and metal produces lacquer ware. Wood carvings are famous and many skilled workers have showed their talents in such artistic works on wood. The trees mainly used for carvings are sandal wood and rose wood. Various shapes are carved in these woods after which a lacquer finish is given to them. The final product is then decorated with various precious metals. The district in Kerala which is popular in these works is Ernakulam. Sandalwood is a fragrant wood and many beautiful products can be carved from this wood. The vast products that can be made in this way includes boxes, small models of animals, ashtrays, Kathakali dance postures, candle stands etc. Sandalwood carving industry is largely in the districts Cochin, Trichur, Thiruvananthapuram and Ernakulam. Kerala has a distinct collection of textiles which includes Kancheepuram silks and here textiles are manifested as exquisite art forms. The wooden carvings are also done to make magnificent wooden toys. It is irresistible for one to buy these fascinating wooden toys in remembrance of Kerala.